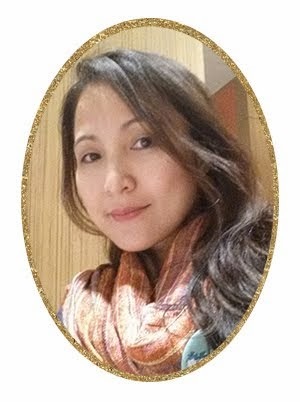 About 3 yrs ago, I talked to a friend who just turned 40. He was feeling kind of depressed as he said, "I don't know why I feel sad. It's just that, I want to do a lot of things and stuff but my age run faster than my mind and my knees, I can't catch up". I could not understand back then what he was feeling. I was just 37 at that time. Now that I'm 40, I completely feel the same way. You see, I have a good life, a loving and responsible husband, and great children, too. But why am I feeling restless lately? 1. 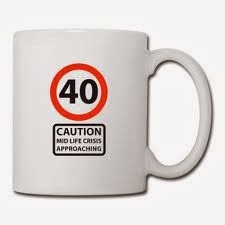 About the age of 40, eyesight weakens. 2. Forty percent of women have visible hair loss by the time they are age 40. Yes, I know that my eyesight's weaker now. I know that I loss hair a lot faster now. But midlife crisis? No way! I'm naturally a happy person. Oh, wait a minute, so this is what I'm feeling lately? 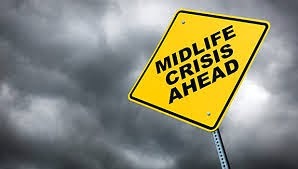 "Midlife crisis does not happen in a vacuum. 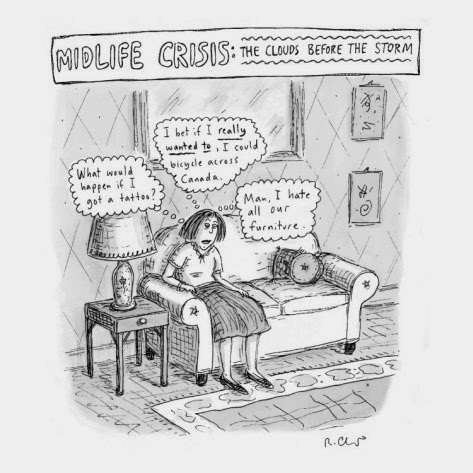 Generally speaking midlife crisis is defined as a period of emotional turmoil in middle age (40-60 years) characterized by a strong desire for change." So this is why, I want to change the color of my hair!!! Okay, as they say, the best cure for any illness is to accept that your ill. 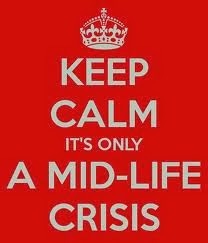 Though, I'm not ill, I am accepting, this is indeed midlife crisis. I just saw this, and I feel like starting an "It Gets Better" campaign for people your age. Honey, I'm going to be 60 in April. I can remember all the angst I suffered when I was younger, and congratulations - only people with brains actually go thru it. If you're not thinking, you're not worrying. But the fact is, if you're a thinking woman, all the crap you're suffering through and all the big existential questions you're asking right now? That builds power into your fifties, and you get stronger and stronger as a result. Let me tell you, it's awesome being (almost) 60. So much of what freaked me out when I was your age doesn't bother me now. I'm on top of it. Feels great. Hang in there. Thanks much, Lynne, for your uplipting comment! I sure hope to enjoy more of life as I age.